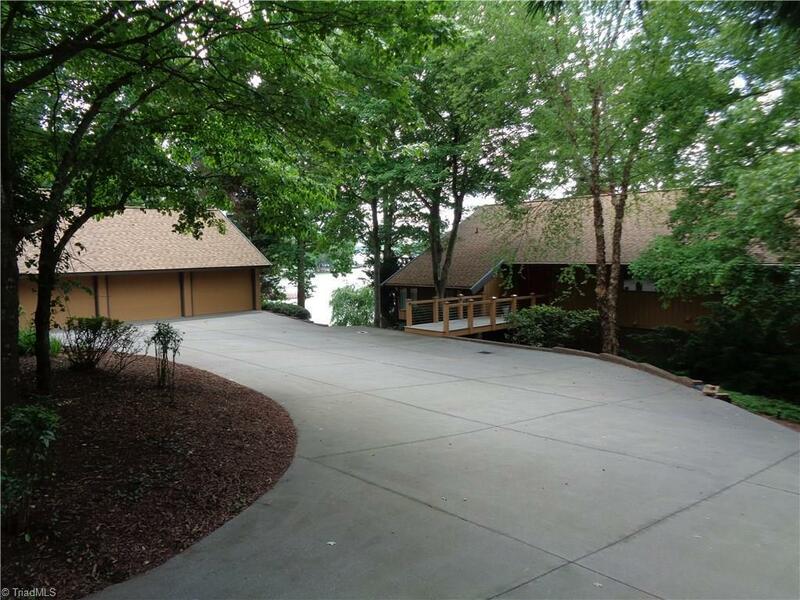 AN OUTSTANDING OPPORTUNITY FOR THE TRUE LAKE LOVER W/ LOTS OF TOYS & AN APPRECIATION FOR PRIVACY & BREATHTAKING VIEWS!!!!! This well cared for contemporary home sits out on the big water on approx. 2 acres(includes adjoining lot which needs perking to determine new home suitability, if desired). There's a 4 bay detached garage w/ full length storage overhead plus a boat garage on rails from the lake in to the home. Floating boat dock for boat, pontoon & jet skis. THIS IS REALLY A SPECIAL PLACE!! !